How to unlock Blackberry Z10 by code ? 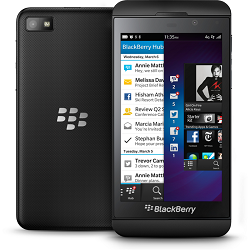 Unlocking Blackberry Z10 by code is the easiest and fastest way to make your device network free. It doesn't interfere in your system or change it in any way so even after using our code, you don't loose your warranty. In order to receive a network unlock code for your Blackberry Z10 you need to provide IMEI number (15 digits unique number). It can be found by dialing *#06# as a phone number, as well as by checking in the phone settings of your device. Tired of using the same network on your Blackberry Z10. We have a great solution just for you. Thanks to our network unlocking service you can unlock any Blackberry model. The service doesn't require exact network or country, because it supports all of them. PRD number is a special sequence written on the sticker under the battery of your Blackberry Z10. The waiting time for receiving an unlock code for Blackberry Z10, Z30, Q5, Q10, Classic, Priv, DTEK50, DTEK60 starts from 3 to 10 days. Hi, I was eventually able to get my phone unlocked by the 16-digit code provided by them. I am giving 4 stars and not 5 because: * they took 16-17 days from the date of order request to solve my request * During this time, I had contacted them 2-3 times to check on status but unfortunately they did not provide or shared estimated time to resolve Other than that I happy they actioned my request and my phone is unlocked. Unlocking instruction for Blackberry Z10 ? 7. Your Blackberry is unlocked now !!! Excelente servicio los recomiendo al 100%. Mi caso fue un blackberry z10 el cual estaba bloquedao por la compañia de digitel Venezuela, busque mucho por internet para liberarlo aunque muchos ofrecian estos mismos servicios me decidi por aca ya que vi los comentarios en TRUSTPILOT.COM y me logre converser de hacerlo. En mi caso no hubo inconvenientes todo resulto muy bien y fueron muy atentos a todas las preguntas que les hice. Super, alles hat bestens geklapt. the best site for unlock codes .... really work perfect. Alles perfekt- war skeptisch, aber ging alles klaglos. Pas beaucoup de service au niveau des résolutions de problèmes. Thanx a lot,guysGreat service,fast delivery and good price. Alles bestens. Hat super funktioniert. Alles perfekt, superschnelle Übermittlung der Daten.